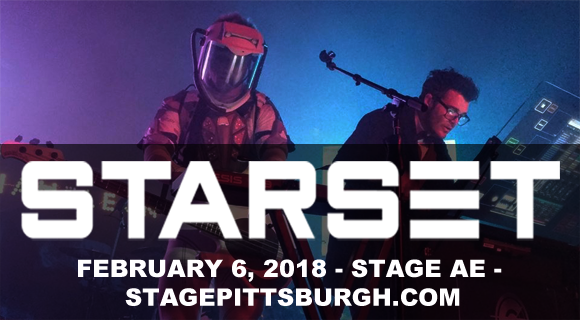 Astronaut rockers Starset land at Stage AE on Tuesday 6th February 2018 for a show like no other! With cosmic, cinematic songs that transport you to another dimension, Starset's epic music marries perfectly with their larger-than-life concept and mind-blowing shows! It's rock, Jim, but not as we know it! American rock band Starset was formed in 2013 by singer, songwriter, and keyboardist Dustin Bates, who is also lead vocalist of alt-metal band Downplay. A concept band, Starset was influenced by Bates' love for astronomy, which was realised during his masters in electronic engineering when he completed research for the US Air Force and also taught at the International Space University. The band has a fictional backstory that claims that Starset was formed as part of a public outreach initiative, and that they are messengers for the Starset Society who must alert the public to the contents of an important message received by a mysterious space signal. This serves as a theme throughout their work. Their debut album, Transmissions, was released in 2014 and their follow-up, Vessels, was released in 2017.